I found tons of good ideas on bathrooms.com. 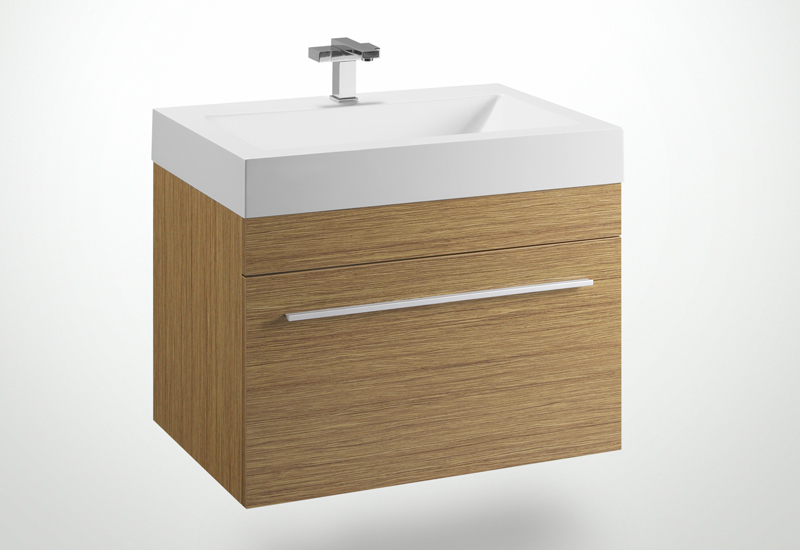 They've got numerous options for bathroom suites online with specials! on bathroom sets! I love me a great deal. And now that I think about it, our toilets are boring as all hell and bathrooms.com has some cool contemporary ones too because who knew that a toilet could be 'contemporary'. 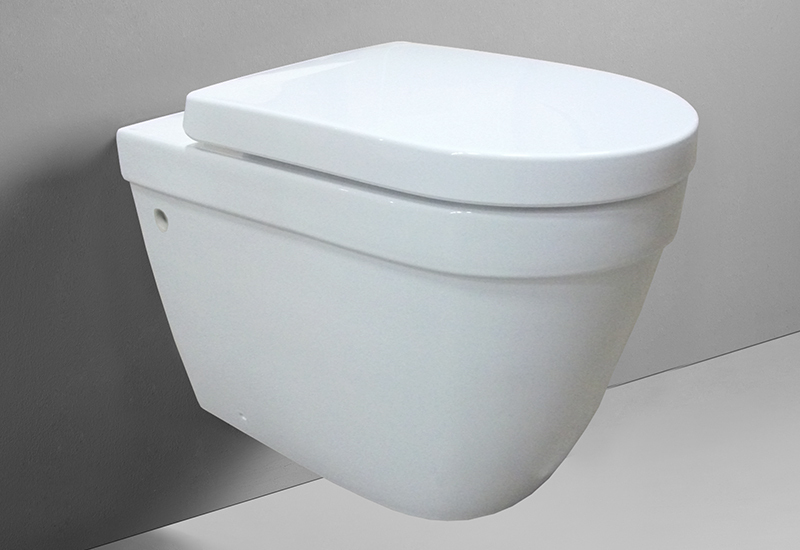 Love the wall hung toilets! What a freaking genius idea! Especially when you're toilet training a boy! (I'm thinking about how much easier it would be to clean messes from lack of aim). Check out the gorgeous toilet below. Did I just call a toilet gorgeous. YOU BET I DID! Gorgeous! That wood is so modern and I just love the clean lines of the sink, faucet and even the drawer handle. Totally my style. I'd love to change out my ugly mirrors. They are rectangular and oh so boring. Cheap too. I'd love to pair the cabinet above with the Dune Moon circle mirror. The frosted edge would pair perfectly with the white sink above. 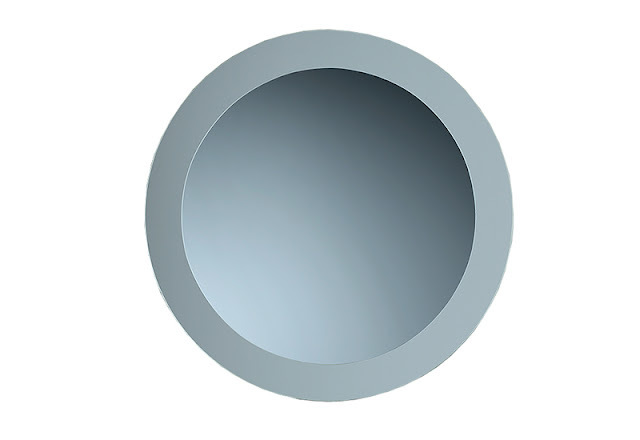 And because I hate my rectangular mirrors, the circle shape would be a welcome change. 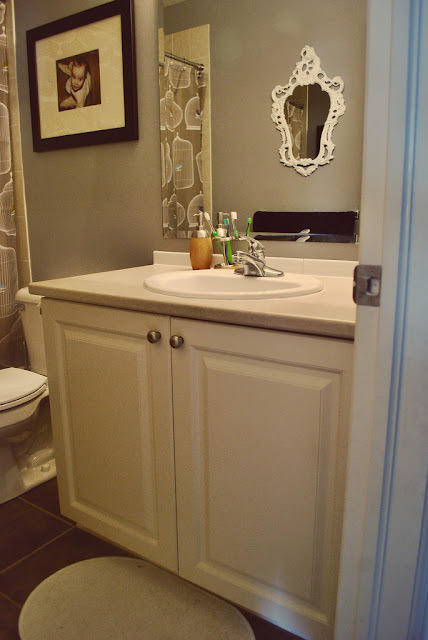 In the meantime, while saving for new fixtures, you could paint the vanity an swap out the faucet and light - and put a frame around the mirror. I did that kind of refresh once my remodel was deemed "out of reach." Our bathrooms are tiny too--and old. The building was built in 1929 and I'm pretty sure the sink and tub are original. I know the tile on the floor and walls is original. Anyway. We thought we were going to have to be forced to redo one of them last week because of a leak. Thankfully the building engineer fixed it--it scored him a big batch of homemade cookies! So grateful. 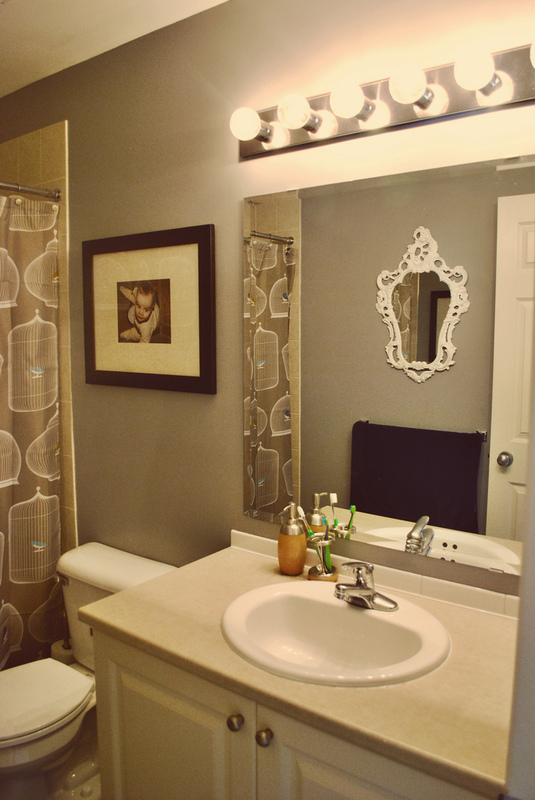 I really love that mirror you put in there and the shower curtain. Personality! 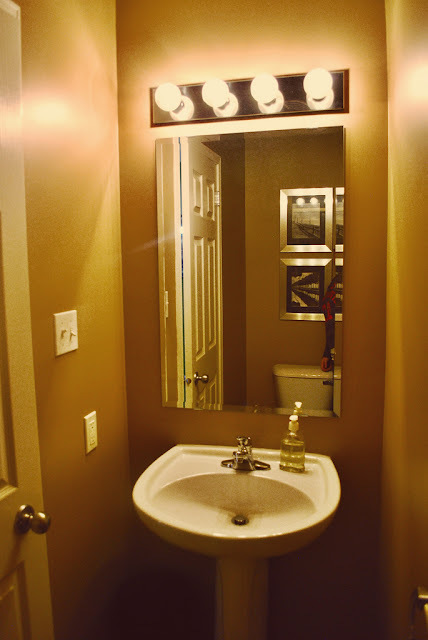 Holiday - swapping out the faucet and light would be a big improvement and now I have to think of frames ideas for the mirror...something creative...thanks! We've had company and it's been a leetle beet crazy around here. But here I am!